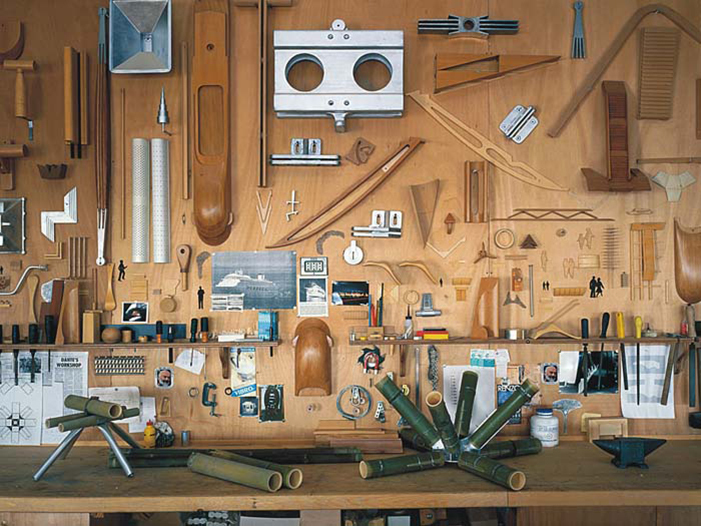 “My studio pays clear homage to my homeland... it’s nestled between the mountains and the seaside, a situation that we Ligurians are quite accustomed to”. 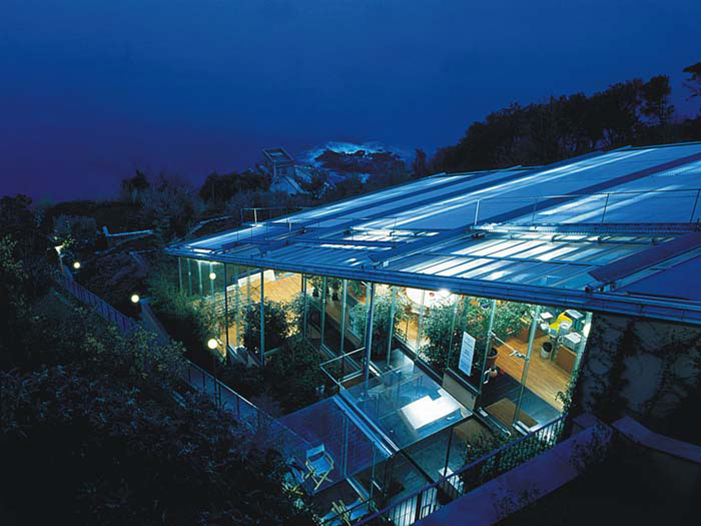 The Renzo Piano Building Workshop’s Genoa studio is located in Punta Nave, on the seaside just west of the city of Genoa between Voltri and Vesima. The rather small complex (approx. 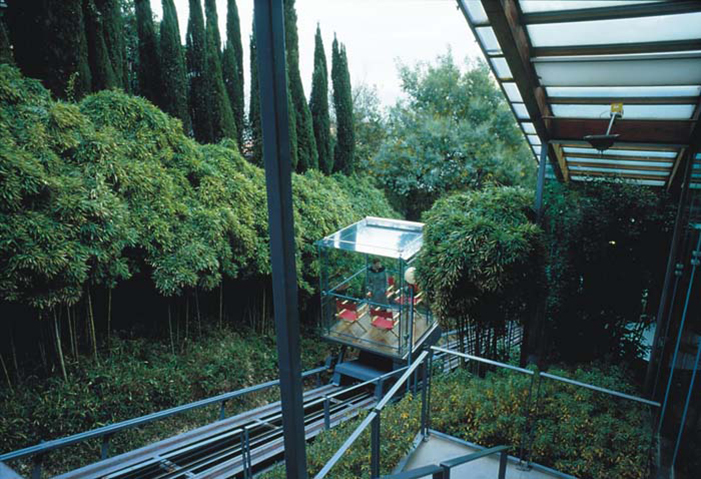 1000 square metres) was built upon a terraced plot of land in 1991. 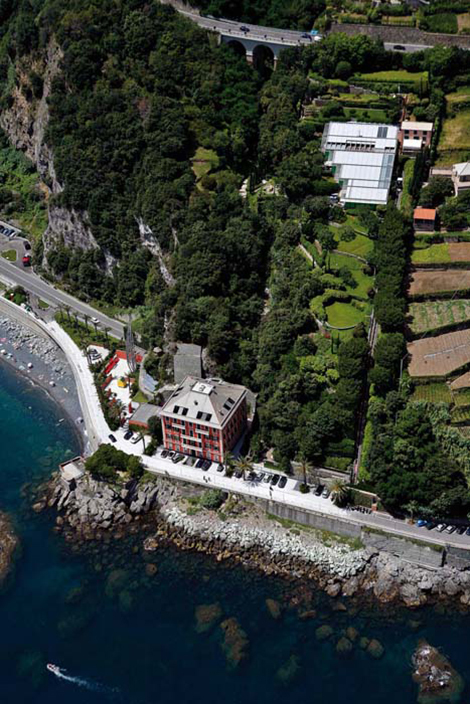 The terraces, which were originally constructed by Ligurian farmers to cultivate the steep hillsides, were in fact preserved. 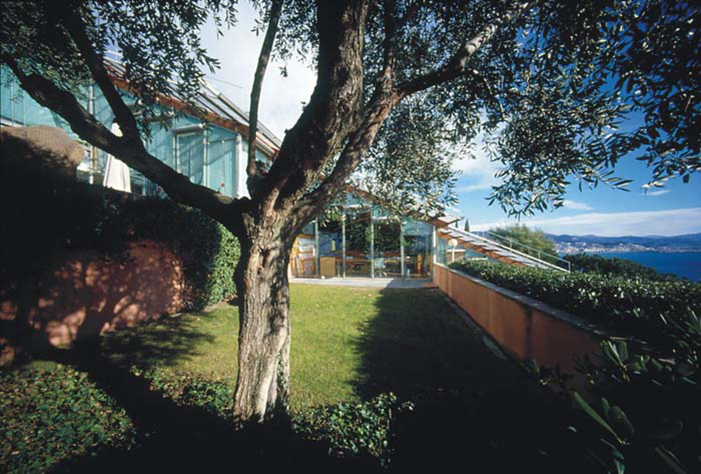 Its transparent sloping roof maintains the continuity of the terraces themselves. 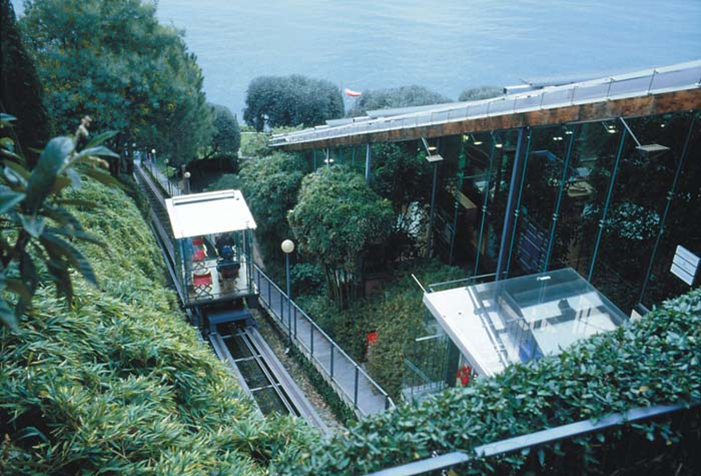 The building is situated halfway up a steep hillside: a cable car, which runs vertically up the steepest section and changes orientation to follow the profile of the mountainside, provides access to the studio from the roadway below. The building is structured like the wing of a butterfly. The side that runs along the upward path is straight. 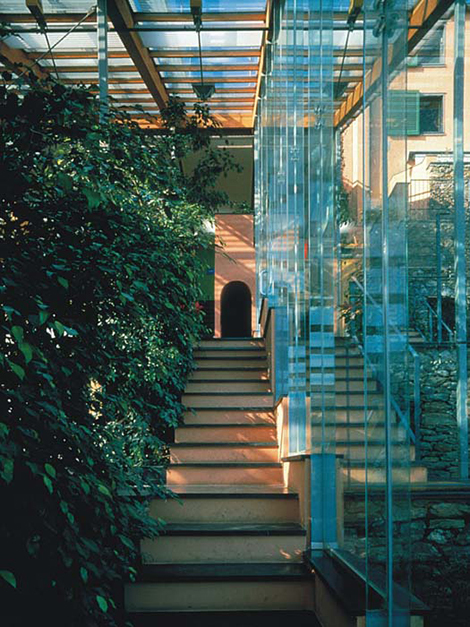 From this section, an internal staircase runs along the window pane, connecting all of the various levels. 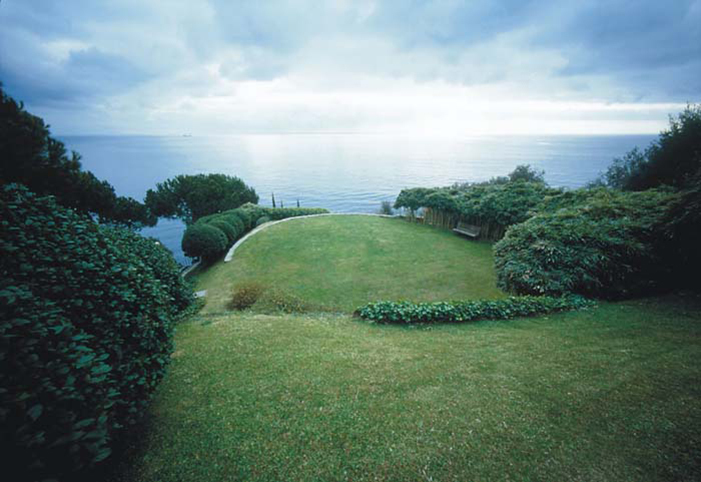 The opposite side has an alternating profile, which decreases from top to bottom and offers an ample view of the seaside and the surrounding greenery. 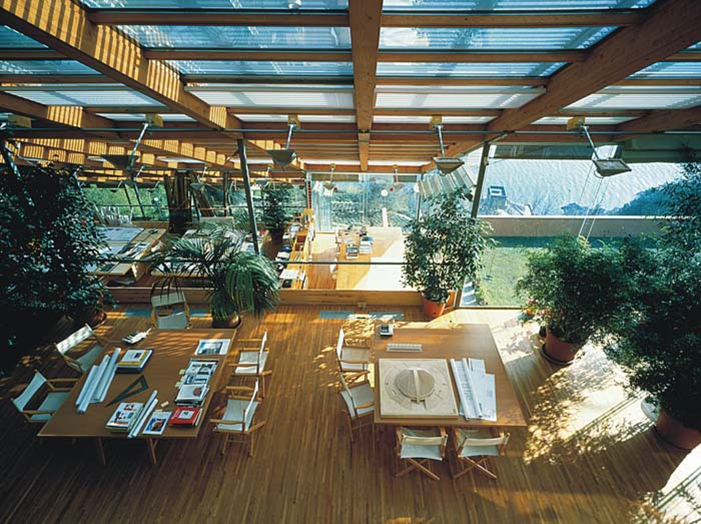 The roof is comprised of a frame of laminated wood insulated with plastic frames and thin membranes, which have been selected for their ability to insulate against the heat and filter the light. The entire structure is supported by thin steel uprights, with steel connecting elements. 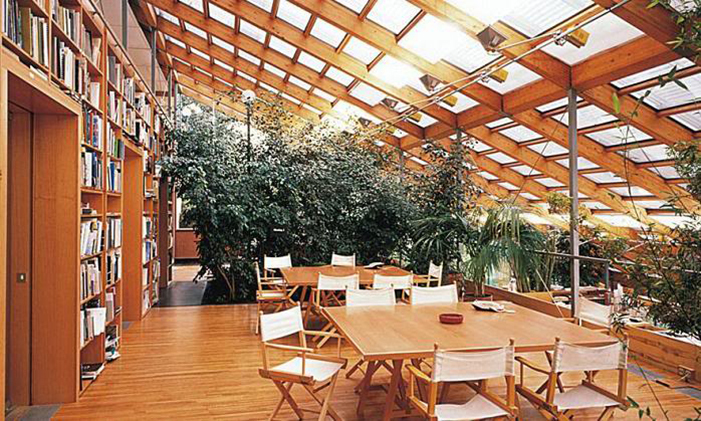 A series of photocells are used to detect the external weather conditions and automatically adjust a motor-powered system of slats in order to protect the roof against the elements and to regulate the amount of sunlight entering the building itself. The lights, which are oriented towards reflective screens on the ceiling, turn on at dusk. In this manner, even the artificial lighting comes from above. 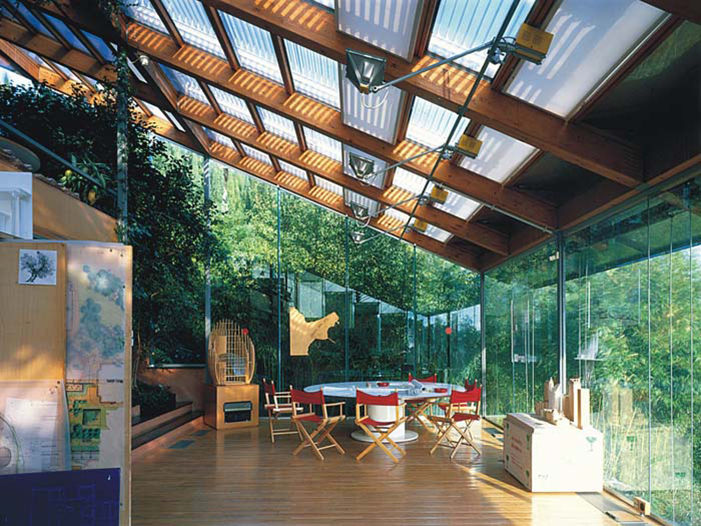 The walls are made of non-framed glass panels, which are only fastened together using thin strips of the same material. With its terraces, traditional materials and multi-level layout, the project evokes the history of its location, but at the same time represents a modern structure for the activities that are carried out within. 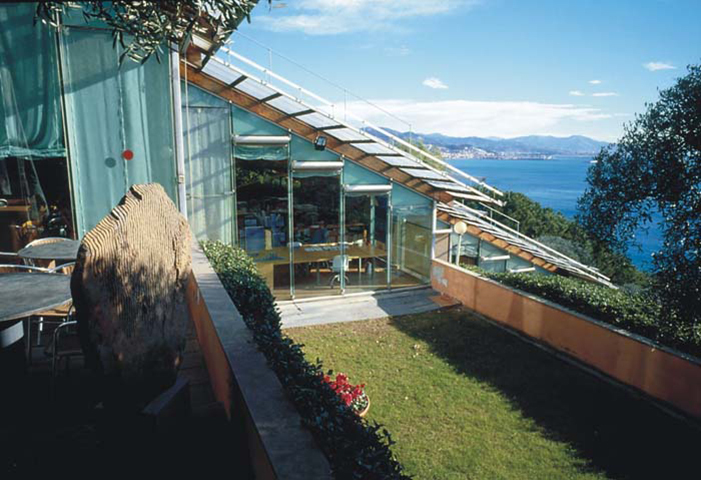 The work areas follow the line of the slope and are arranged on various levels: in addition to creating a sequence of spaces, this solution also allows the view of the surrounding landscape and seaside to be enjoyed from every level. 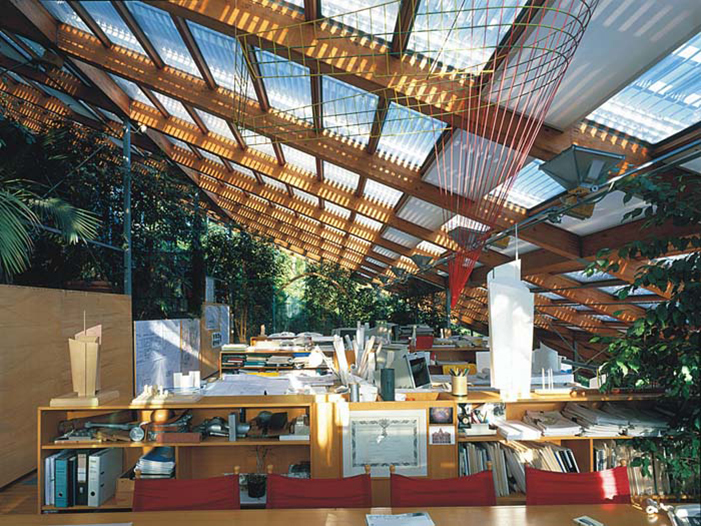 The space has no intrinsic hierarchy or barriers: the studio’s architects, clients, students and technical staff are all brought together under the same sloping roof, and are visible to one another from each of the building’s various levels.